"Don't worry, Mother! 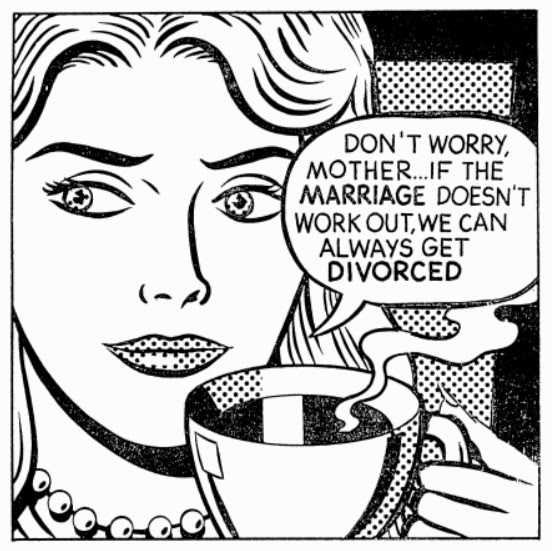 If the marriage doesn't work out, we can always get divorced!" OK, I didn't say it quite like that, but it was close - I had just phoned my Mom to inform her of my decision to get married with my boyfriend from 4 years to which she replied "Are you sure this is the man you want to spend the rest of your life with?" I loved him. And I loved him a lot. But I was becoming resentful at the way he didn't appreciate what we had, for not showing emotional support, for keeping some distance and not trusting me completely. It hurt me to find out that instead of talking openly with me, he called my parents and told them I don't care about him anymore. It was rather the oposite - I cared about him, but we could not see eye to eye. I was trying hard to succeed with my job (first job abroad after college), while he had just closed his business back home and was currently unemployed (for about 9 months) It was tough! I didn't know what exactly to do, but I knew I didn't like the current state of my life. Before too long, a friend asked me one day - 'So, are you guys getting a divorce?' My immediate reaction was 'Of course not! ', but then I realized I'm short on breath and I felt dizzy. A second later added 'But I guess that's where we are heading...'. I hanged up as soon as possible. 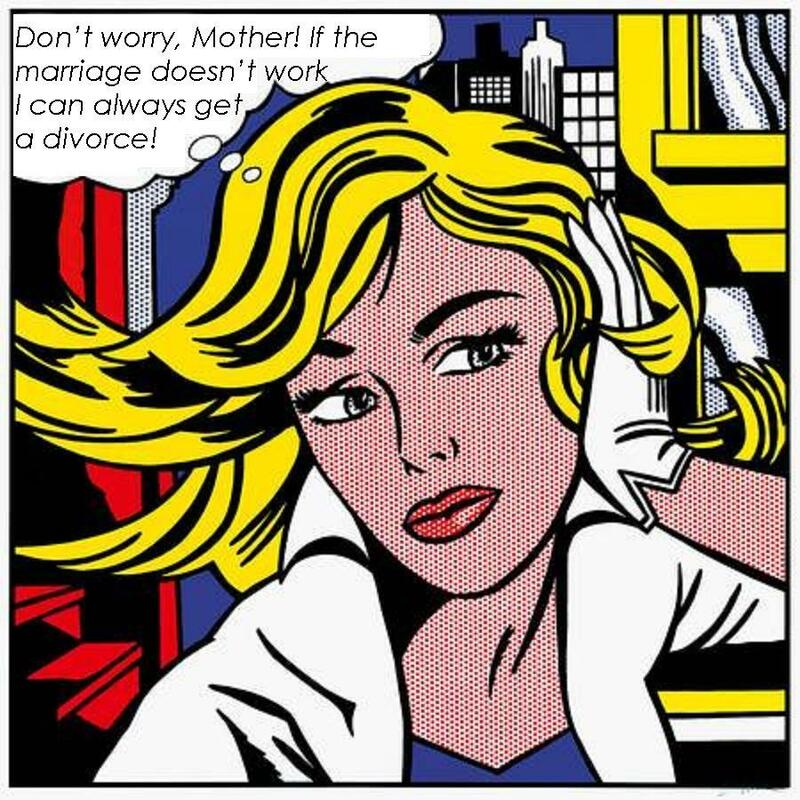 I had to think - was I really going to get a divorce? Was it happening to me? For real? Some decisions in life will always be tough and painful - like breaking up with someone you love, deciding to get a divorce, or deciding to divorce second time. Some may not be easy, but won't be so emotionally taxing, like selling your first home or car. But often even positive events - moving to another city or country for that dream job, buying a house with your long term partner, having a baby - they put us to the limits of our comfort zone. Clearly a chain of events - could be short or long, is leading us to that point of making a decision, but the moment of facing the big decision...that's when I freese! And I'm sure many of you too. I've tried diferent approaches. I'd pretend all is ok until one day I start loosing my sleep - my worries win. Or I will go wild - parties, alcohol, friends, random dates. Then I'll sit down with the legal yellow pad and counts pros and cons. Or go sit on a beach and listen to the waves until a solution emerges in my mind. And at times I will simply cry for hours. Ironically, they say that there are no signs on the most important crossroads in life. Not even your closest friends could know what's best for you. - Face the big decisions with respect to yourself and to others that might be involved. - There is no need to wait for the situation to get as bas as possible before taking a step towards improving it. - If the situation I find myself into is worse than the average level of happiness I experience in my life - something needs my attention. - No matter how big the decision - most are reversible! - Some decisions are scary because of how much money is involved in them - ask yourself if money is what you live your life for. - Many times the goal behind a decision is much easier to reach than you think - be courageus, go for it! Trust yourself! - Every decision, even the best one, is a result of your life experience up to now. Tomorrow you would have lived longer, know more and the decision might not seem as perfect, but it is still a good decision for right now. - I could seek advice, I could listen to a shrink, but ultimately I make a decision myself, because I am the one to live with the outcome. - At times a little patience helps to see the forest (or the trees). - Often I have to let go of a little to gain a lot. - Moving from Cleveland to Chicago - not many know this fact, but my first eight days in the States I lived in Cleveland,OH with my uncle. Don't get me wrong, I love him dearly, but it was not the life I was looking for. So with only $165 I moved to Chicago, staying with friends for while, learning the language and falling in love with the Windy City...before I got my first job and moved to Arizona. - Divorcing my first husband while I still loved him - being civil when parting is so important. Till this day, although not often, we can still talk like grown ups and even share a joke. - Leaving my easy job in Illinois and getting a challenging one in Madison, WI - I loved the city, I loved my friends there, I loved the job I had! Great time! - Leaving my well paid job in UK and moving to the Netherlands for half the money, having so much fun! Even falling in love!!! You see, in my books a life with no regrets is life well lived! And if not now...when?!! And facing big decision is part of it. “Twenty years from now you will be more disappointed by the things that you didn't do than by the ones you did do. So throw off the bowlines. Sail away from the safe harbor. Catch the trade winds in your sails. Explore. Dream. Discover"
PS. 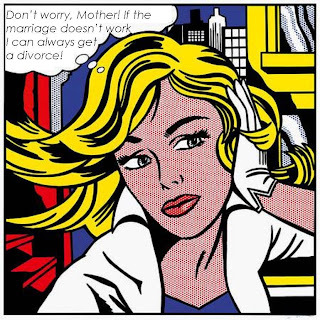 The image I initially used when writing this post is Roy Lichtenstein's work, but the words I photoshoped. I simply couldn't find his other painting which had the comment on divorce. Appologies! And if anyone has Roy's painting with the mother and the daugther, pls, let me know. I'll be happy to put the proper one up. PS2. I finally found the image I intended to use when writing this piece. It's now at the top of the post, and it comes from Douglas Coupland's "Generation X" - an illustration by Paul Rivoche.